Every day, construction workers face extraordinary risks while performing their job. Employers have a responsibility to keep construction sites safe for workers. Many construction site accidents can be avoided if the proper safety procedures are followed by construction contractors, developers, subcontractors, and others working on a job site. When an accident is caused by a safety violation, the injured employee can file a claim for recovery under New York State’s Labor Law. In addition to implementing and overseeing safety procedures, employers must ensure that equipment is readily available and properly maintained, protective gear is worn by workers and safety training is provided. Failure to perform these duties may give the injured worker grounds for a construction accident lawsuit. 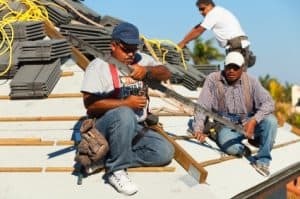 New York’s Labor Law covers all types of construction workers, including New York and out of state workers, union and non-union employees and documented and undocumented workers. The injuries sustained by construction workers are often devastating, leaving them seriously injured and with no way to support their family. If you or a loved one has been involved in a construction accident, contact ARDITO LAW FIRM, P.C. as soon as possible.